The midterm election results are mostly in, and the consensus appears to be that voters ushered in a mixed bag of candidates and new laws. The big news is that the Democratic Party won the House back, which will change the dynamics in Washington as states are now challenged to implement their own midterm agendas. Florida has been in the news lately due to Hurricane Michael, and election news from there includes a possible statewide recount for a U.S. Senate seat. 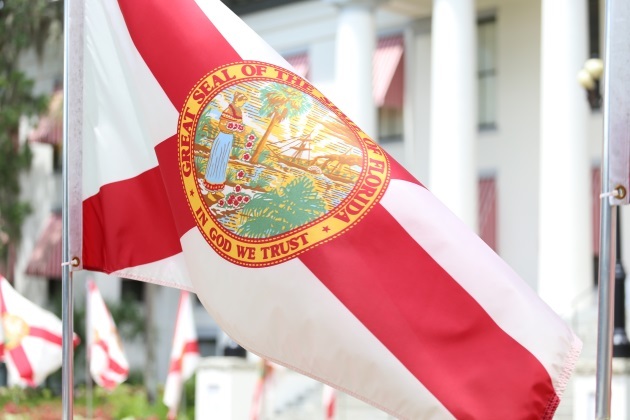 One important development in the Sunshine State is the passing of Amendment 4, which restores voting rights to over 1.5 million people with previous felony convictions. This increases voter eligibility by 10 percent. Over the past two decades, the phrase "prison industrial complex" has moved from an academic concept to one more likely to be heard around the kitchen table, as many criminal justice reform measures have bipartisan support. Many agree that society must act to improve prison conditions and treatment of formerly incarcerated individuals as they struggle to find work and housing in states that continue to punish them long after they’ve served their time. Perhaps most symbolic in the effort to end overly punitive corrections culture is the restoration of voting rights. There’s been much made about how states discriminate against people with felony convictions, and allowing people to vote affirms their common humanity and dignity in a democratic process. There are still some restrictions: Amendment 4 applies to "individuals who have served the entirety of their sentence, including prison time, parole, and probation, and will exclude those convicted of murder or felony sexual offenses." According to the Sentencing Project, Amendment 4 will have a significant impact on the black vote, as 1 in 5 black Floridians can’t vote because of felony convictions. The restoration of voting rights to 1.5 million people no doubt will have a huge impact on the 2020 election. As if we need to be reminded, Florida is a swing state and always plays a central role in electing the president. Desmond Meade of the Florida Rights Restoration Coalition describes the victory as an example of "love prevailing." Meade states: "This victory can serve as a bright spot… a launching pad for how we conduct business, how we can move issues along the lines of humanity." If you think about it, if we factor in all of the people who did not vote in the election due to dislocation from Hurricane Michael and the 1.5 million people who couldn’t vote due to criminal records, Andrew Gillum, who vied to become Florida’s first black governor, would likely have been elected. This bodes well for the next election, and serves as motivation in a state facing huge climate change challenges. Since 1997, 23 states have amended existing laws to allow more citizens with criminal convictions to vote. Due to discriminatory laws, more than 6 million people were ineligible to vote in the midterm election: this is no small potatoes. Michigan and Nevada also passed successful voting rights amendments on Nov. 6. While not everyone got what they wanted in the midterms, one thing is certain. The next election positions a new Florida population to have a serious impact on voting outcomes, which will be significant in a year that includes a presidential election.